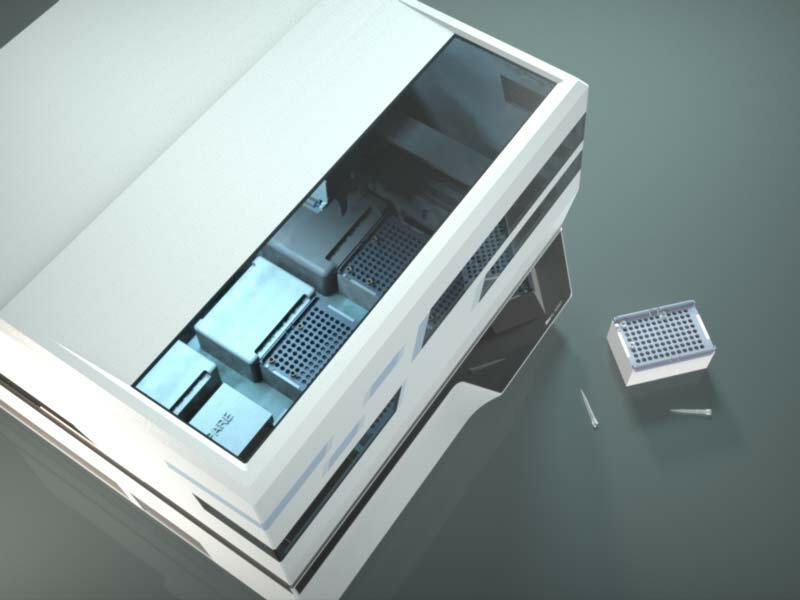 With the BioXp 3200 System, SGI-DNA sought to democratize the gene assembly process, allowing labs to build their own genes de novo in-house. 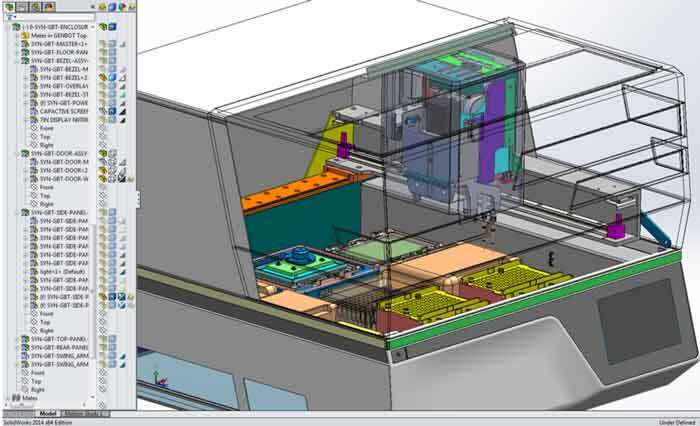 Synthetic Genomics (SGI) presented the experience design and development experts at DDSTUDIO with a set of components and their challenge – to create a compact, easy to use bench top instrument that could be produced at an affordable price point. 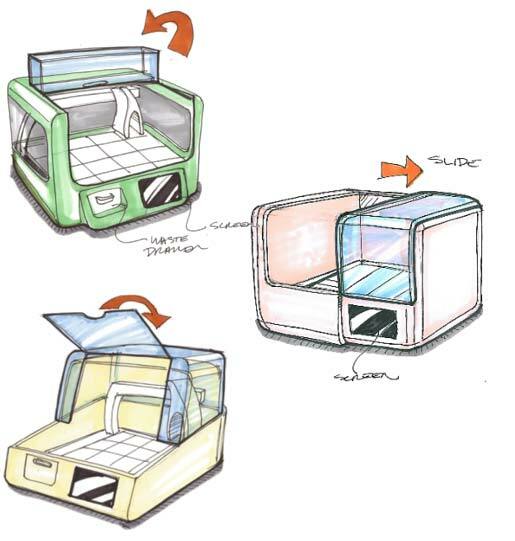 DDSTUDIO took Synthetic Genomics through a Visual Brand Language workshop that helped find the right tone for emotional Synthetic Genomics customer communication that resulted in a preference for an angular /directional emphasis and de-saturated color, with accents. 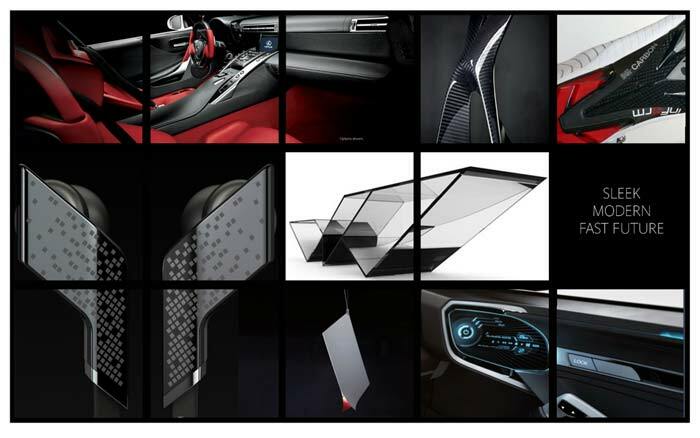 The core technology of the BioXp System, Gibson Assembly, which joins DNA fragments together, was represented in the design of offset, asymmetric windows, each representing a DNA fragment. 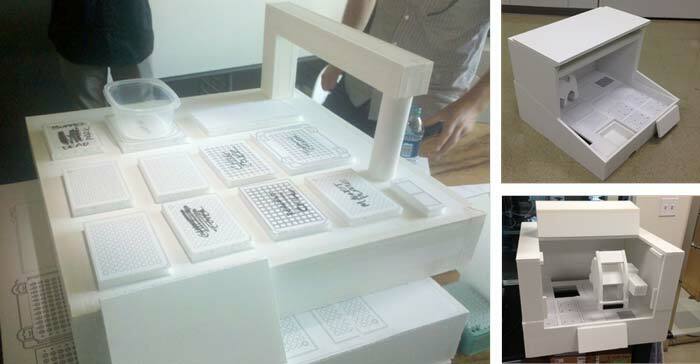 A series of full scale mock-ups led to a clear winner – tray positioning, mechanism effectiveness, access for loading, maximum clearances. 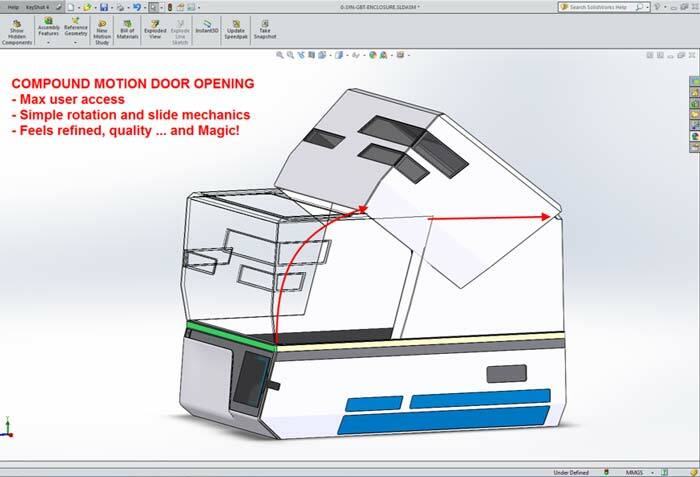 The distinctive asymmetrical window array reveals the technology in action and allows the user to see the interior green, blue, or red progress indicator lights from anywhere in the laboratory. 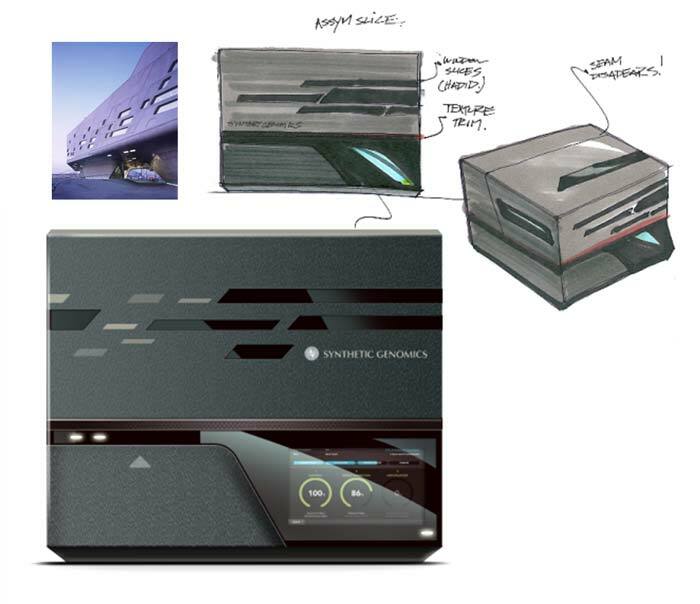 The fully developed user interface became a focal point, providing the simple, intuitive usability that Synthetic Genomics desired. 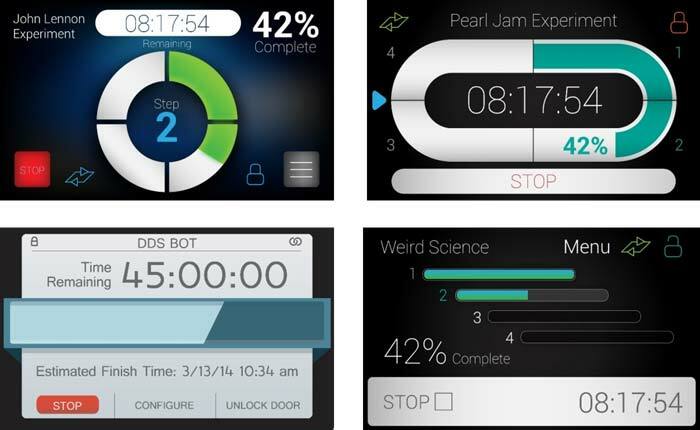 The user simply follows the prompts on the touchscreen interface to start the application run. 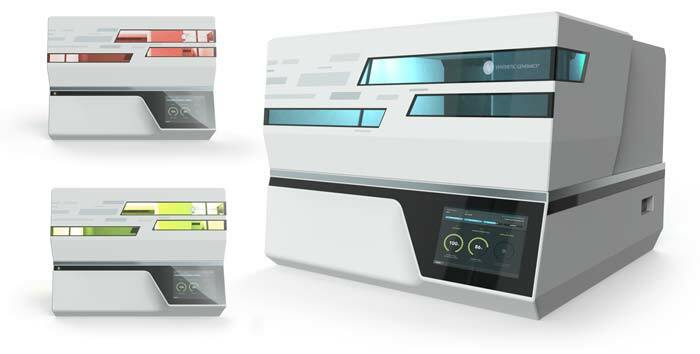 The instrument then takes over, providing walk-away DNA fragment assembly from 400 bp to 1.8 kb in length in roughly 12-17 hours. 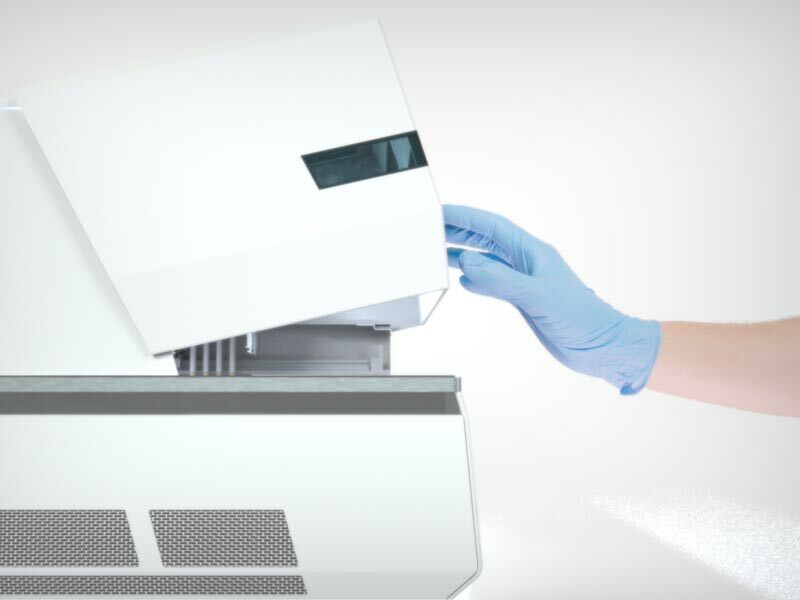 With its fully-automated workflow, the BioXp System matches the quality and reliability labs have come to expect from costly outsourced gene synthesis service providers. 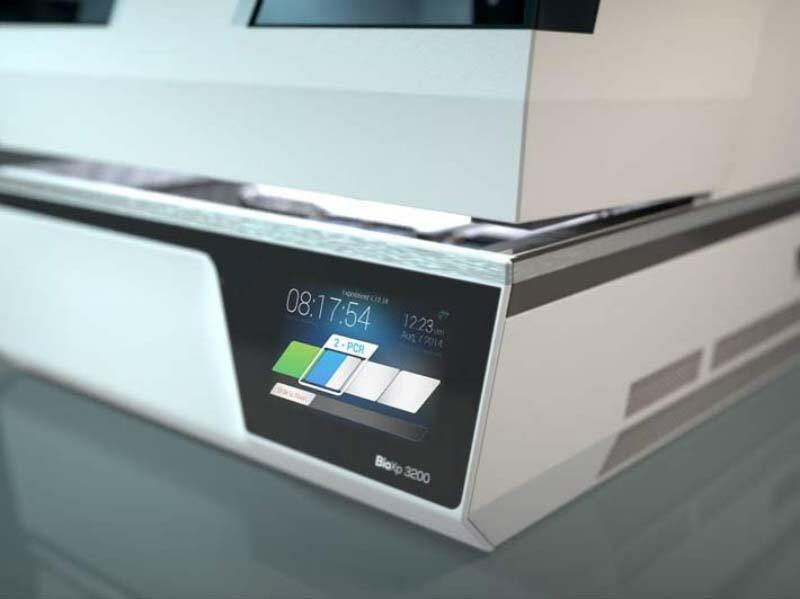 The BioXp™ 3200 System is world’s first DNA printer, a machine allowing any biotechnology company or academic laboratory to create genes on their benchtop hands-free, starting with electronically transmitted sequence data. 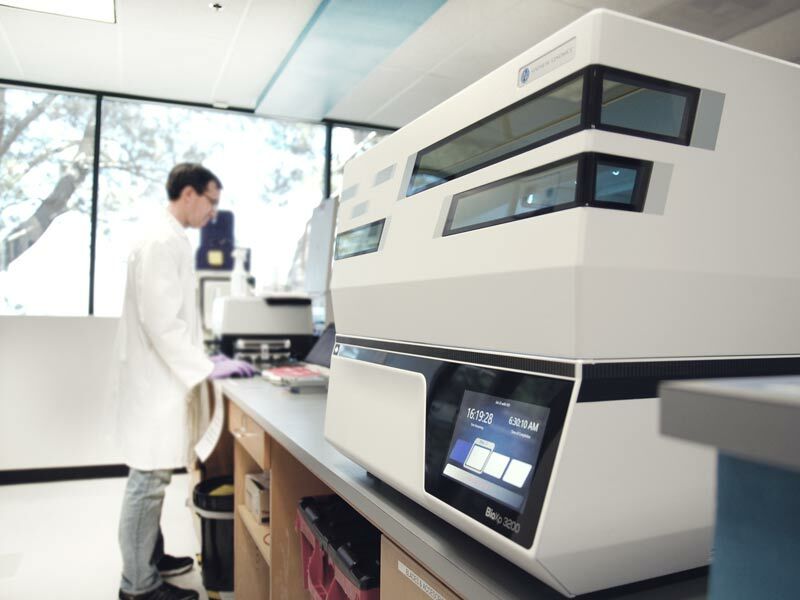 SGI-DNA’s BioXp™ 3200 Instrument will dramatically improve the workflow for applications such as protein production, antibody library generation and cell engineering.